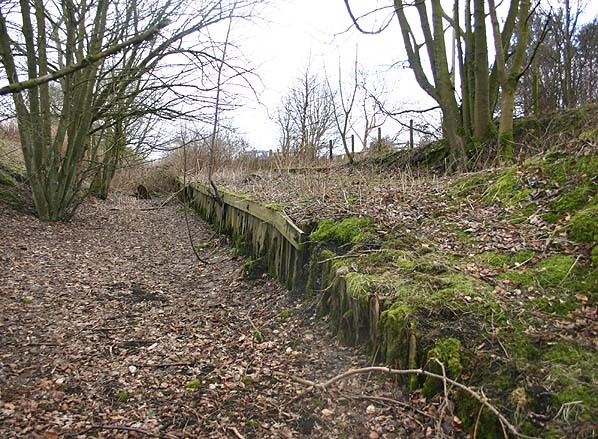 Present state: Part of the cinder and sleeper platform is still extant although in poor condition. The brick support for an old passenger coach that was used as a store can be seen on the platform. 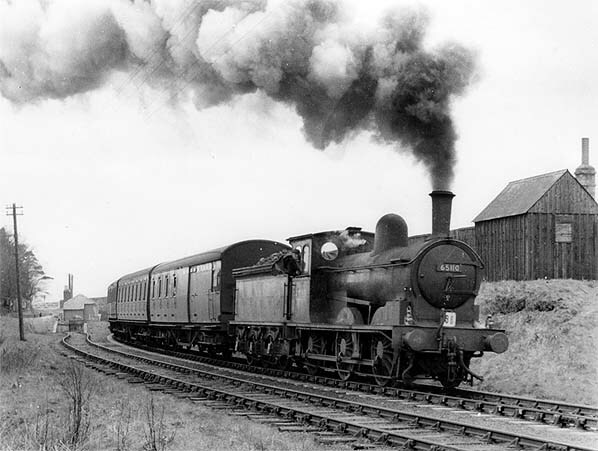 Notes: The station was opened with the branch as a private station named Rothley. When the branch was absorbed into the North British Railway it became a public station and was renamed Longwitton in April 1875. 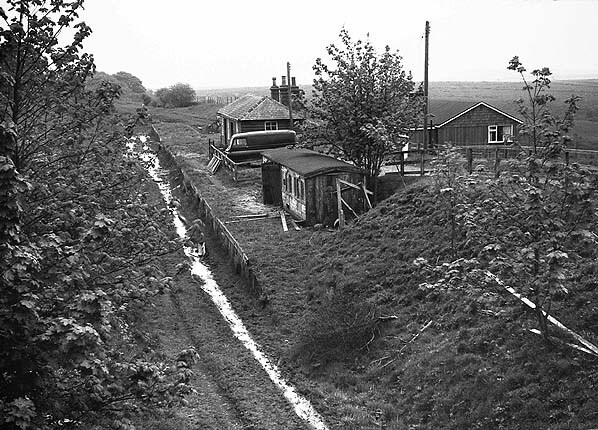 Facilities were very basic with a sleeper and cinder platform and goods yard on the up side of the line with one dead end goods siding serving a loading dock and a short spur at the Rothbury end of the yard. The goods yard was controlled by a ground frame. In early days the station served local industry with two privately owned mineral lines serving Longwitton limestone quarry and Longwitton Colliery, these had gone by the 1920’s. 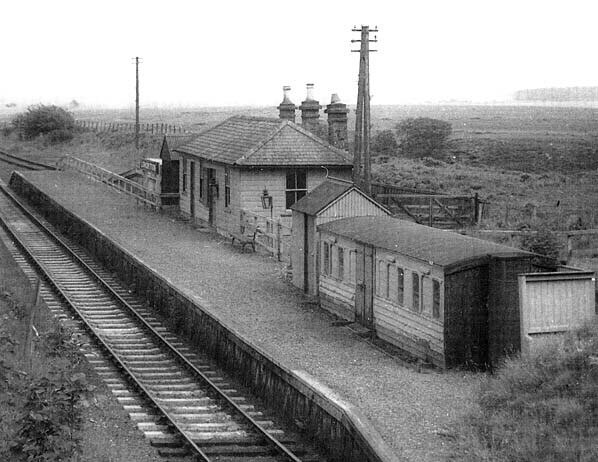 The station building comprising a booking office and waiting room was of timber construction with an old passenger coach providing additional storage. 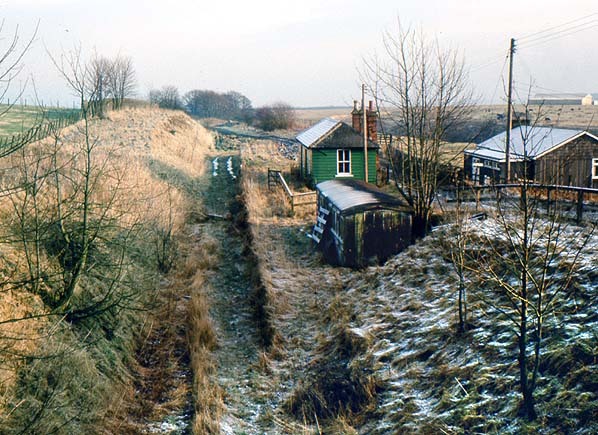 Long Witton station looking east in 1971. Long Witton Station looking east in March 2006.